Please note: tickets for this show will not be posted. Please select "box office collection" at checkout. 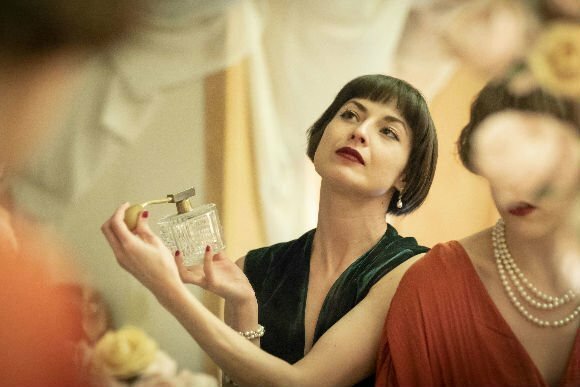 1920s dress encouraged, dancing shoes required! If you were rich the 1920s - a famously wild era of bootleg liquor, red hot jazz, rampant drug taking, boozing and dancing yourself into a state of exhaustion - were a veritable 24/7/365 pleasuredome. 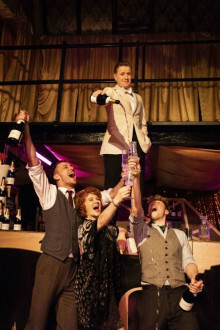 This is the scene set by this thrilling adaptation of F. Scott Fitzgerald’s best selling jazz-age classic, a place where the cocktails flow, the music deafens and Jay Gatsby’s infamous parties are in full, utterly outrageous swing. 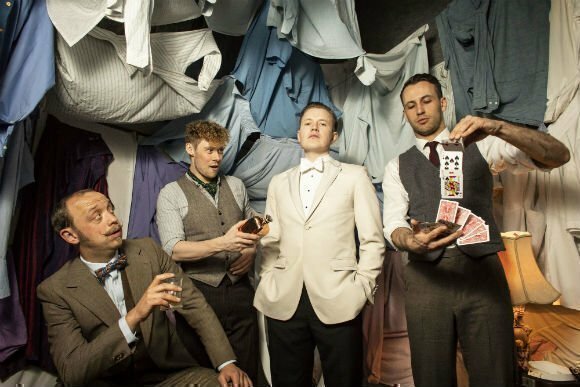 This exceptional show brought the house down at the Vault Festival. 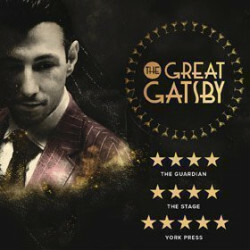 Over two and half hours it reveals one of the most powerfully affecting stories of the last century, exploring the enigmatic Jay Gatsby's extraordinarily powerful appeal to the naïve young man who was so very fascinated by him. 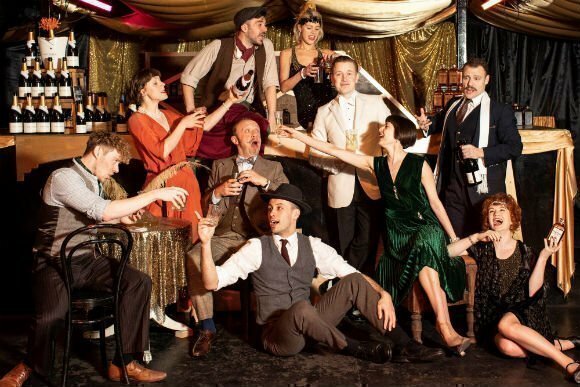 The show is beautifully presented by The Guild Of Misrule, The Immersive Ensemble and Perrier-Jouët, an outstanding stage production that has already proved a massive hit with audiences. 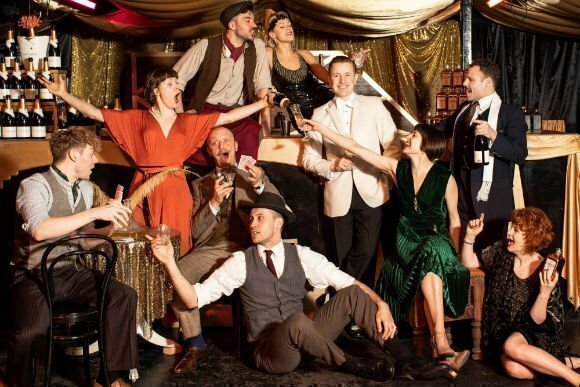 Add input from theatre luminaries Secret Cinema, Les Enfant Terribles, The Flanagan Collective and Belt Up Theatre, and this is a party you won't want to miss. 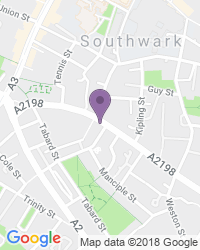 The West End transfer venue is being kept a close-held secret until nearer the time, but we do know that the producers are going to encourage audiences to wear 1920s costumes. The show is already a legend in the making for faithfully recreating the sights, sounds and feel of this unique period, following on from the Belle Epoque, as experienced through the admiring eyes of Nick Carraway as he gradually discovers first hand the less than glittering underbelly of a society obsessed with wealth, status, excess and glitz. 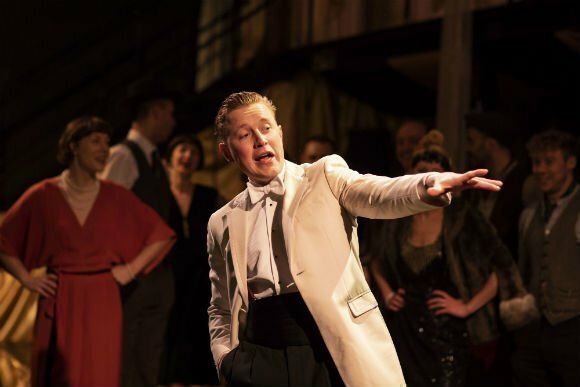 The musical has been beautifully adapted by Stephen Sharkey, whose accolades include The May Queen and The Resistible Rise Of Arturo Ui. There's loads of live music supporting a truly inspiring theatrical experience, and the reviews so far are excellent. 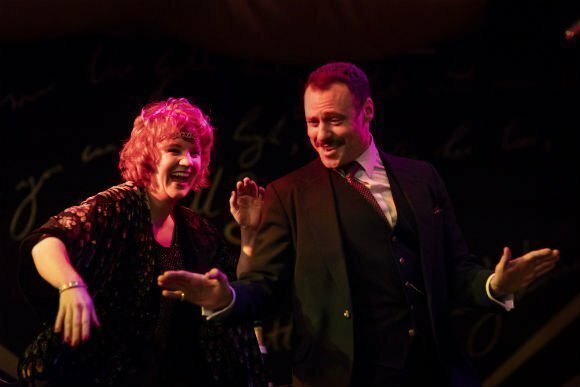 It's being called “beguiling and captivating”, “Riveting and worth travelling far to see”, and a piece of “Truly electrifying theatre”. Booked the show last minute as a friend was in town. We did not know what to expect but overall was a great experience. This is a style of play that we have never seen before. It's really not like sitting and watching, you are part of it. Somehow, I would have liked it to be even more immersive! Perfect to discover a new theatre style and/or make a surprise to a friend without saying what it is about. 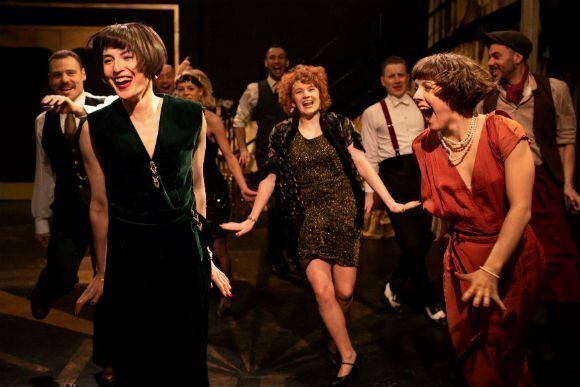 Even if not everyone does it, it worth dressing up 20's style to reinforce the effect of the play. Recommend to go! Fun party of a show! This is a fun combination of a play and a party. The friendly actors do a great job of staying in character from the doorstep and the guest list to the end of the evening. Set in a large central warehouse room, with smaller rooms off to the sides, the audience is free to mill around, as there are no assigned seats. With a selection of strong cocktails at the bar and most of the audience in passable period party dress, my guest and I had a great time being ushered from room to room to witness scenes. The actors bring audience members into the action in a minor way, but it’s easy to blend in if you have stage fright. I would suggest you spend a few minutes practicing the Charleston before you go, if you really want to make the most of the evening. Remember to watch the movie or read the book beforehand so you have it fresh in your mind...and of course, get dressed up and participate! Great, have a few before you go! Great armosphere, shame the bar was not open throughout the performance and drinks being collected off the tables when not finished. 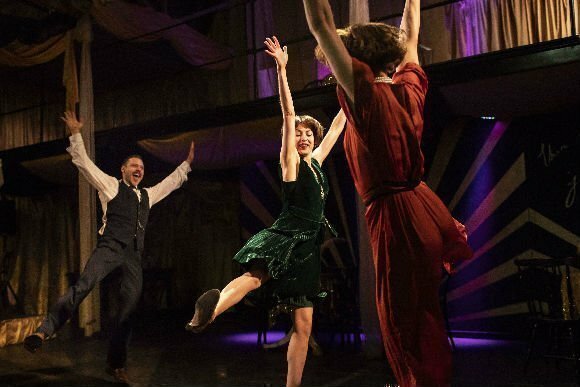 Be part of the action, taking place in a set of rooms representing Gatsby's house where big parties take place. Order your drink from the bar, dance with the actors, go around the rooms to see how things evolve in front of your eyes. 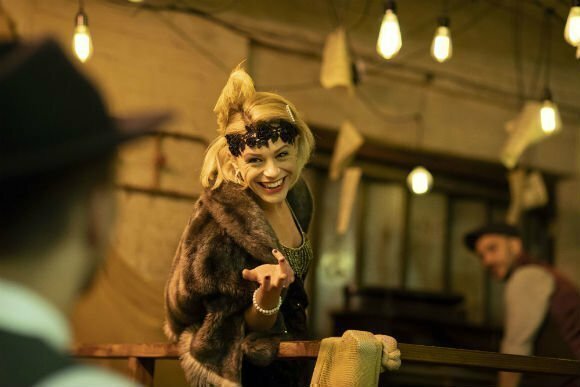 Participate in the dialogs and actions - not to be scared, usually only need to answer with a yes or not, pretending you are one of Gatsby's invitees to the party. Great night out, would recommend it! 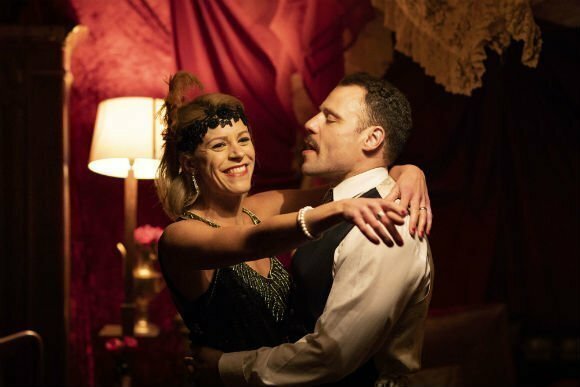 I really didn't feel like going, and I knew I couldn't drink that night, so the gin went to waste, but it TOTALLY turned me around - it was really fun and i LOVED the interaction, the acting was great, it really felt immersive! if you are someone into improv you would love it! Beyond thrilled with our choice. We booked impromptu on London Box office not quite knowing what the ‘immersive theatre’ would entail. We loved the story line and all the little story offshoots. Acting was fantastic and the actors stuck around to chat to our 16 year old fan girl daughters. Brilliant and highly recommended. Honestly didn't read the small print about this show. Booked it online last minute and thought my mother and I were going to be seated to watch the play. We were surprised to be standing and walking around, almost participants in Gastby's party. It was a little disconcerting at first but we soon got into it. Characters of Tom and Nick were brilliant and the whole experience was very engaging. Only regret was that we had a lot of shopping bags from our day around London and they were difficult to carry from set to set. Be prepared and embrace this unusual but well executed show. 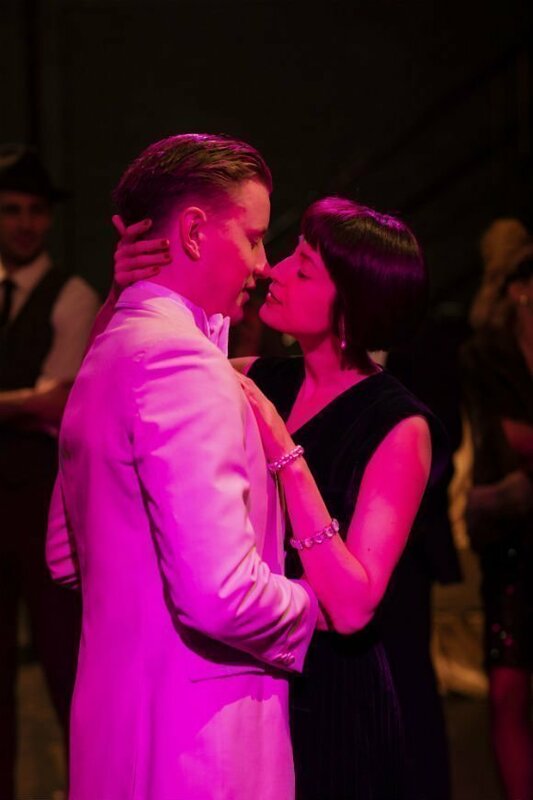 Use the search box at the top left of this page to search for The Great Gatsby tickets availability.